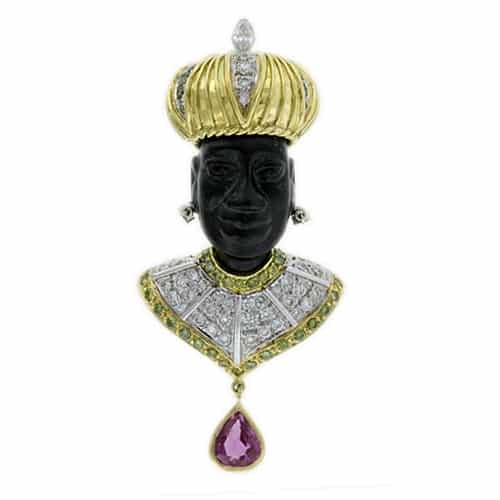 A blackamoor is a brooch designed as the bust of an African man or woman. The head is typically carved of black chalcedony hardstone in three dimensions. The busts and headdresses are usually completed in gold and may be gem set. Blackamoors date from the mid 19th to the mid 20th centuries. Nardi is famous for his gem set blackamoors circa 1950.